Following his Last Man Standing, My Way is a beautiful tribute to Frank Sinatra. Co-produced by Buddy Cannon and Matt Rollings, the album mostly covers Ol' Blue Eyes’ career in the sixties. The tender and tremulous voice of eighty-something Willie, graciously coated in orchestra arrangements, is wonderfully enchanting on Fly Me to the Moon, Summer Wind and Cole Porter’s Night and Day. My Way not only pushes the Red Head Stranger away from his beloved country music, but it is also a flashback on memories. 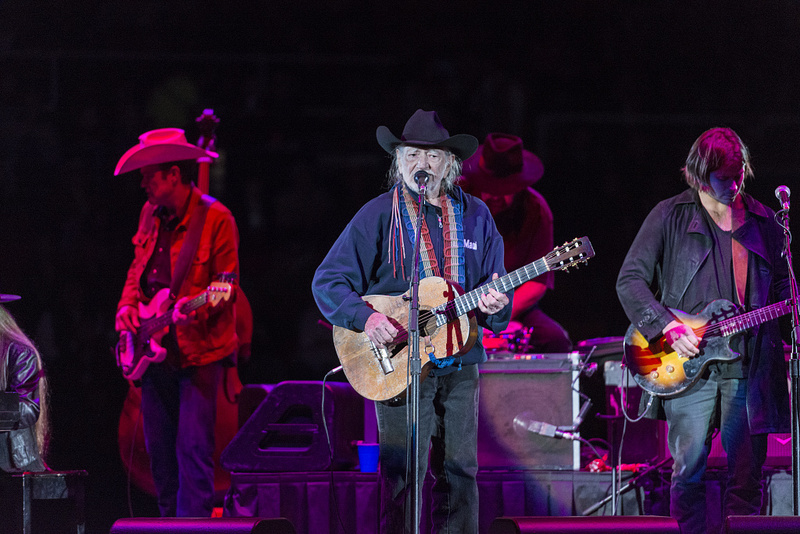 Willie Nelson highlights how his encounter with Sinatra played a part in his interpretations. Sharing the swing and purity of phrasing in 2005 for their duo on My Way, or facetiously joking on an announcement about NASA researches, the two giants have always maintained a strong bond, despite their differences. Which goes to show braids and bow ties can go well together!